Join the food revolution at Pasture, located in the ever-popular The Barn at The Summit at Fritz Farm. The food served here supports local farmers and food that is ethically raised and processed. You'll find burgers, chicken, salads, creative sides and more. 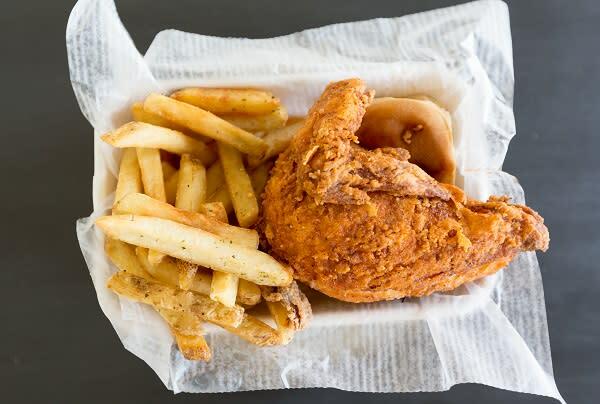 Bonus: they claim to have the healthiest fried chicken in the world - what could be better?